Boarding a plane is not a dream anymore. For saving the precious time from the tedious and long journeys, people nowadays prefer to switch over their means of transport to airplanes. Keeping this in mind, we, Palash Travels, are rendering trustworthy airline ticketing services to the travelers. Booking an air ticket is easy with us. 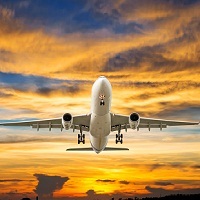 You just have to provide some important details like name, number of passengers, date of departure, destination, etc., to our air ticketing agents and they will guide you for the best deal as per your requirements and budget. You can contact us anytime; we are located in Siliguri (West Bengal, India).